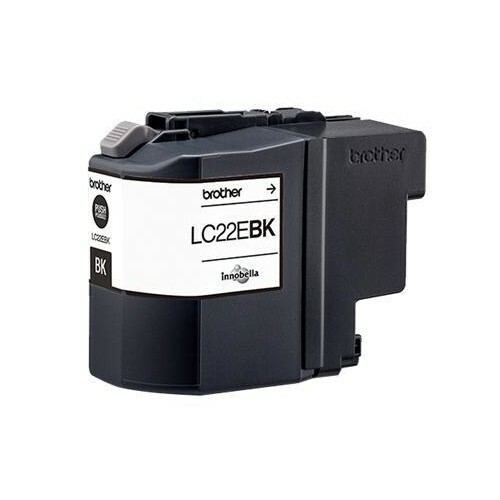 Brother's new LC-22EBK ink cartridge produces sharp black print each and every time. The high yield of about 2400 pages makes this an ideal cartridge for small offices inkjet printing. Contains Brother Innobella.